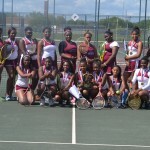 Mumford High won five gold medals and two silver medals to repeat as Detroit Public School League Division II girls’ tennis champions May 22 at Barcus Tennis Center. Coach Scott Yanak’s Lady Mustangs had three of the four singles champions and two of the four doubles champions to finish with 18 points. CMA, led by victories at No. 1 singles and Nos. 3 and 4 doubles, scored 15 to place runner-up for the second year in a row. The team scoring was rounded out by Denby 5, Central 4, Ford 3, Cody 2, DIA 1 and DCP-Northwestern 0. No. 1 singles – CMA sophomore Nia Gray-Davis defeated Central sophomore Don’Janae Blue 6-0, 6-1. No. 2 singles – Mumford sophomore Janette Taylor defeated CMA senior April Smith 6-1, 6-4. No. 3 singles – Mumford sophomore Majestix Gabert defeated Central sophomore Simone Ward 6-1, 6-0. No. 4 singles – Mumford junior Jaleesa Watts defeated CMA sophomore Jakara Stewart 6-2, 6-1. No. 1 doubles – Mumford sophomore Shate Harris and freshman Dominque Harris defeated CMA sophomore Zhemone Foster and Erika Davis 6-1, 3-6, 6-4. No. 2 doubles – Mumford senior Mariamadonna Umejiego and freshnman Georgina Taylor defeated CMA seniors Alexis Nelson and Diamond McLaurin 6-2, 6-0. No. 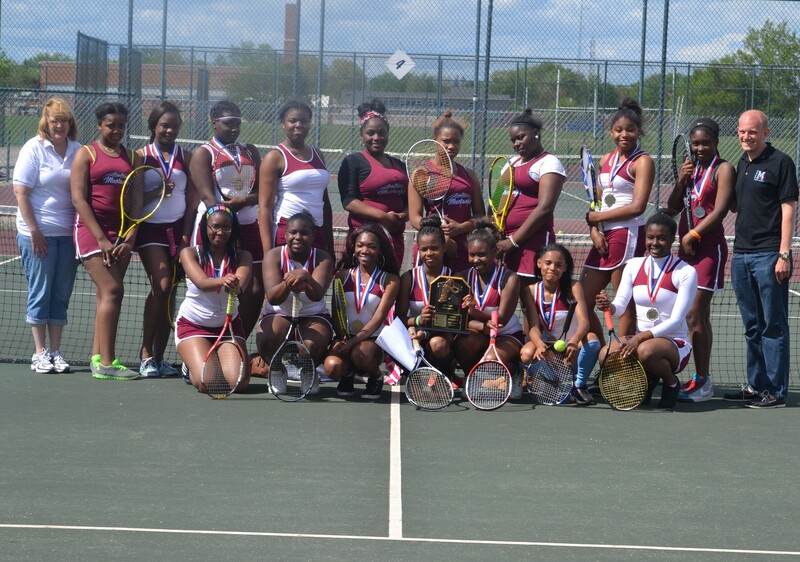 3 doubles – CMA junior Divine Gunn and sophomore Khannique Alonzo defeated Mumford sophomores Antonesha Chambers and Brianna Brooks 6-4, 6-4. No. 4 doubles – CMA senior Deija Morton and sophomore Judy Russell-Pearce defeated Mumford freshman Jimia Lyles-Mike and sophomore Alexis Chambers 6-1, 5-7, 6-3.